On some days, I just feel like escaping from the hustle and bustle of city life to enjoy the peace and tranquility of rural life. There's something charming about the countryside and I think it's good to rid the electronic devices for a day and let the kids transport back to the days when nature, not a man-made gadget, was our best friend. There is this place near our home that I've been wanting to visit for the longest time and we finally did! 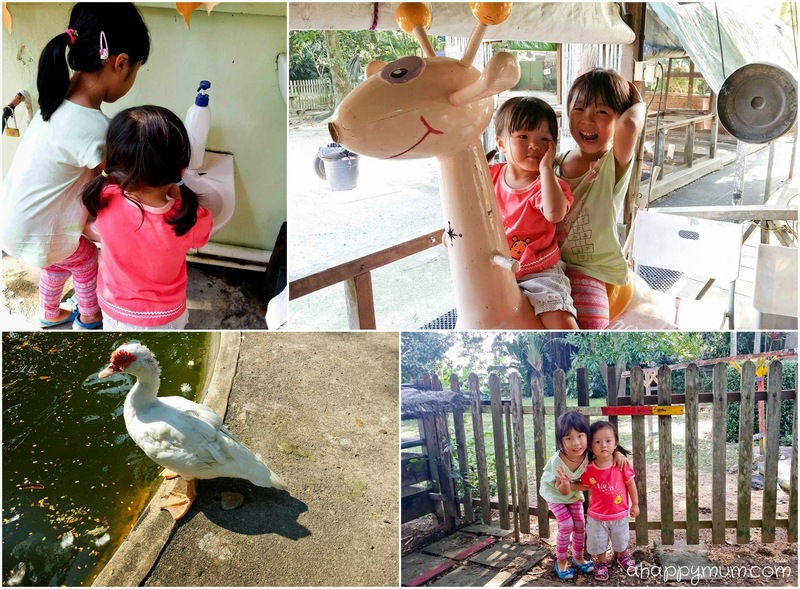 Obscured by housing estates, shopping malls and public transport amenities in modern Sengkang, there lies the rustic The Animal Resort which offers grooming and boarding services, but what appealed to us was that the kids can come close to nature and interact with animals in a rarely found kampong-style setting. I have to first tell you that it took us quite a while to locate the place and it is best accessible by car or taxi. There were ample parking lots and though we were not expecting a crowd, we were surprised to see that this place seemed to be quite popular with families and young adults. Tip: Remember to apply mosquito repellent before you step into the premises. If you run out of it, they have it on sale too. 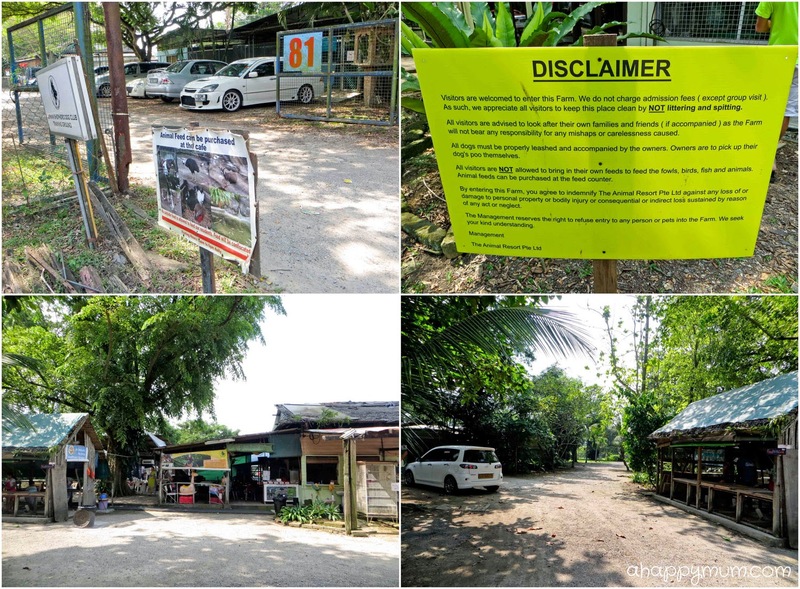 Once you walk in, you can easily spot a shabby looking hut on your right where you can purchase the various kinds of animal feed. At $2 for every three packets, you certainly do not need to spend a bomb to delight the animals, the kids and everyone else in the family. Interestingly, there were packets of food meant for all the "2-legged animals" so Angel made sure she counted their legs before she fed the animals. Yippee! We were all set! Remember our awesome farmstay in Lillydale where the girls got to feed wallabies, lambs, fawns, pigs and donkeys? I could clearly recall how much joy that brought to the kids and I was just glad we were able to relive a small part of those happy memories in The Animal Resort. First up was the handsome and tame-looking horse. He would happily chomp on the carrots and when we tried to feed him with the grass, we realised he would only eat when you offered him a big bundle and not a few strands. The husband said that it wasn't because he was greedy but because he couldn't really see. Anyway, as usual, Angel was really brave when it came to feeding animals and coming up close with them. On the other hand, Ariel was a little timid and would shun away when we held her hand out to feed the horse. 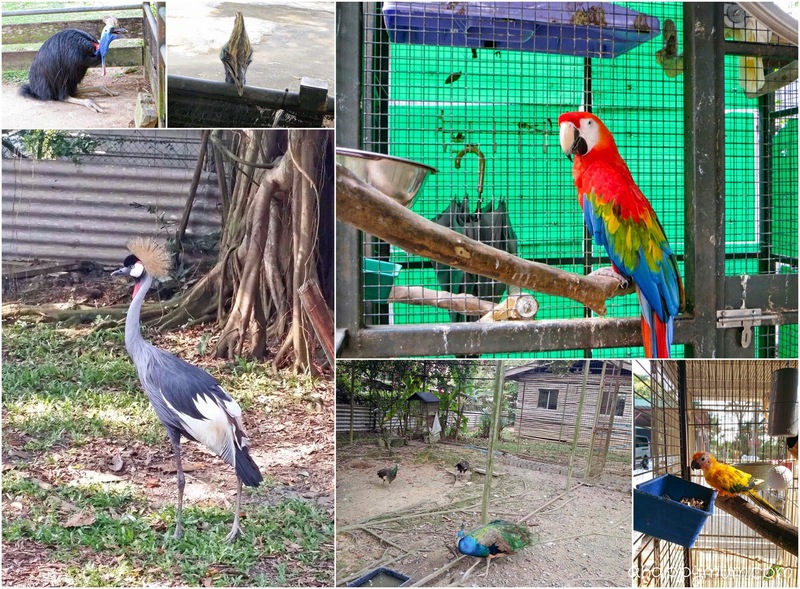 Coming to birds, you can spot a variety of species here including macaws, crowned cranes, chickens, peacocks and a cassowary. I personally loved the macaws best even though you don't get to feed them. Why, even Ariel tried to have a conversation with them after they let out a loud "Hello" when we walked past. I've always wondered why the sound of geese is called honk, and boy did we experience incessant honking that day! Talk about a gaggle of geese, (Did you know? Gaggle is a term used when there are five of them or more and not flying), these hungry-looking waterfowls were exceptionally friendly and noisy. To be frank, I initially found them quite cute but that ended when they somehow managed to surround the poor little toddler who got intimidated when they all tried to strike a conversation with her at one go. Well, I do think they just want food, maybe friendship, and are harmless. In fact, they are likely Angel's favourite animals to feed because she was happy to squat down countless times to let them peck at the food in her palms, which was a tad ticklish and always made her giggle. Tip: These geese like to poo anytime and anywhere so you gotta look at where you are stepping. Kampung style, remember? Right outside the hut, enclosed in cages, are the rabbits and guinea pigs. These are popular animals among the younger kids and I do think they get more food than they need, evident from all the leftovers in their bowls. 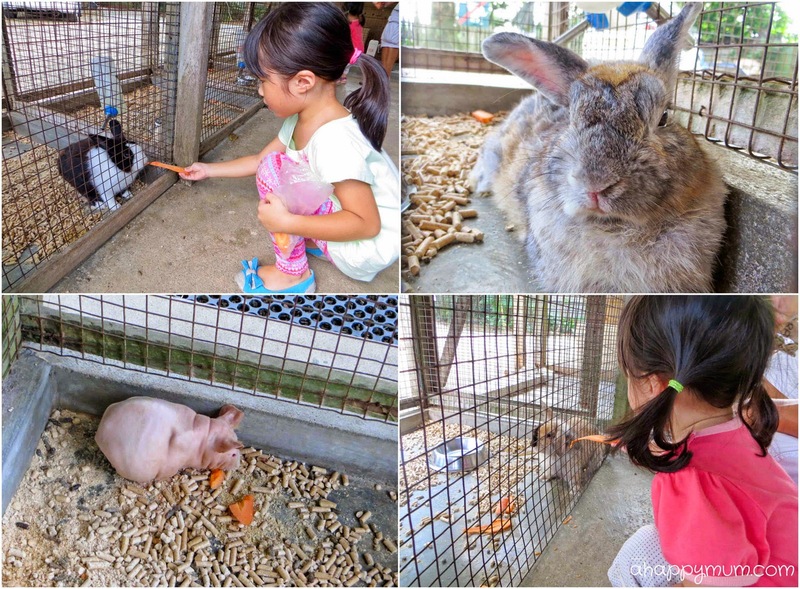 However, when the girls found one, just one, bunny which was willing to nibble away at the carrot they were holding, that felt like hitting the jackpot and they were all smiles. The girls, not the bunnies. Ok, maybe both. If you make your way further down, you can find a second pond which is home to the koi and terrapins. In fact, we even saw the geese coming here for a dip. Oh, did I not mention that? The geese are free to roam! Be careful that they do not scare you from the back and make you fall into the pond! The final and most interesting animal we spotted had to be the marabou stork. The first time we saw its huge pink balloon, coupled with the signboard that warns you not to feed or provoke it, the hubby and I were wondering "Oh dear, this poor guy must be sick". Yes, please pardon our ignorance. So I did a little research on that throat pouch and it turns out that this is called the gular sac of the stork and is used for primarily two reasons - thermo-regulator and dominance indicator. This means that it helps to keep the stork cool the blood that flows to the brain and throughout the body, and it is also inflated by the male to impress rivals and the prospective female, who inflates hers in return. We all learn something new everyday, yeah? At the end of the day, we were all happy but thirsty so we sat down for some drinks and snacks. We found kiddy rides that cost only 50cents and 20cents so the girls were kept occupied for a little while as the hubby chatted with the over 80-year-old granny who made coffee for him. You know how the world seems to be so small at times? They were chatting about places they visited in China and through pieces put together, we discovered that the granny is a long time friend of the hubby's 98-year-old grandma. Amazing, right? Tip: You can find a wash up area right beside the counter selling the animal feed and get the kids cleaned up before they eat. 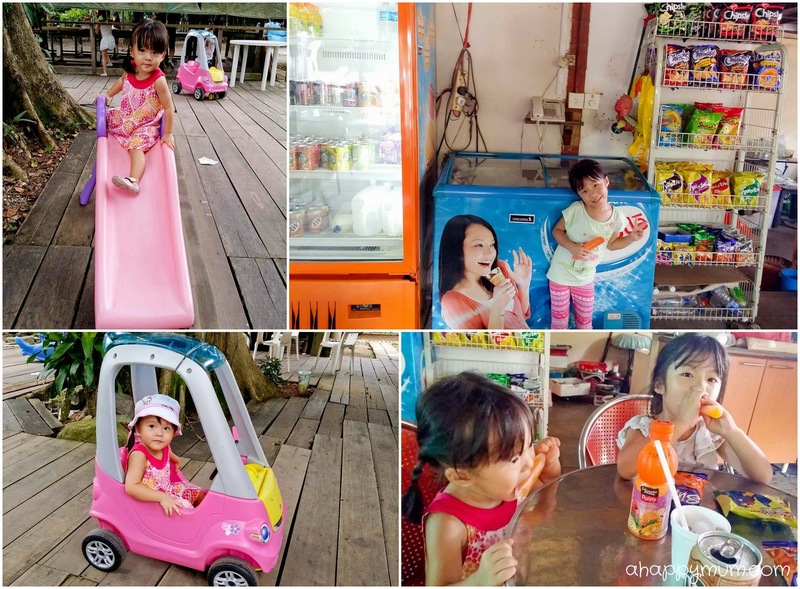 While the hubby was happily chatting in his less than passable Hokchew, we were contented to play in the toy car, slide, see-saw and then sit down to enjoy some old school snacks. It was the first time the girls had an ice pop (aka sng bao) and I can remember all the fond moments I had with these as a kid. 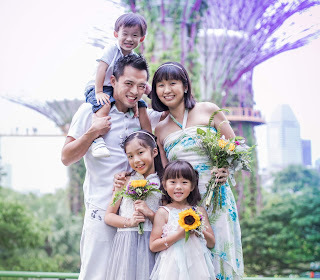 Time flies, now here I am, as a mum of two, trying to grab hold onto as much of my happy childhood memories and not let them fade away with the years. iPad and ice pop, I think I still prefer the latter. If you are looking for a clean, hygienic and action-packed family destination, this is probably not the place. 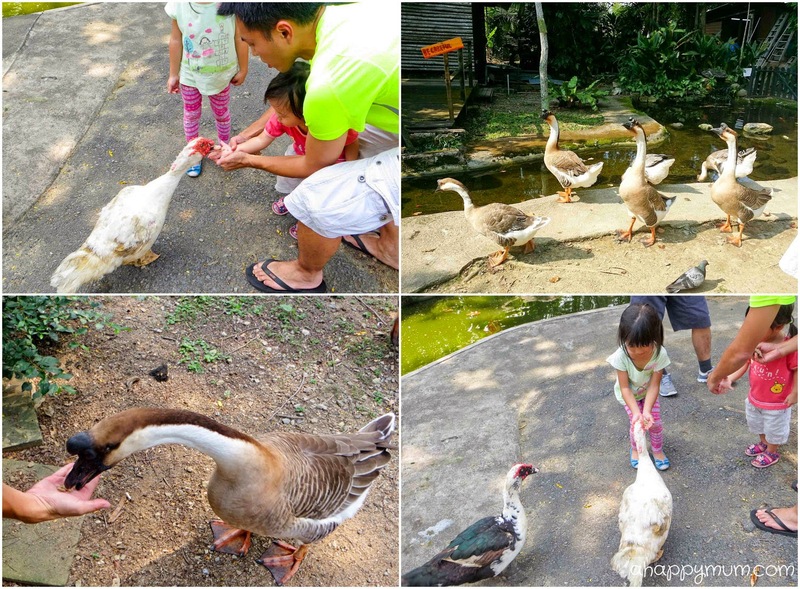 But if you are hoping to get in touch with mother nature, love animals and don't mind roughing it out for an afternoon, then you might wanna try this kampong experience too. Open from 10.00 am to 5.00 pm daily. Suitable for all ages. Admission is free. Linking up with The Gingerbread Mum's Fun for Free Fridays. Yay so happy to read your post about this place! I love that pic of the geese by the pond! Our favourite was the horse. We kept going back to buy more carrots haha. How amazing is it that your hubby's family knows the granny right? Absolutely amazing!! Oh yeah, my fav pic too! Hehe. The horse must have loved you guys!!! =) He's such a beautiful animal, right? Yes, I thought it was uncanny but we were so glad to find ah ma's friend there! In any case, we returned a fortnight later and this time round, we brought the whole family including the brother-in-law's family and the parents who of course, had a good old chat with the granny there. Awesome! I haven't had the chance to bring Sophie there and it sounds like great fun. 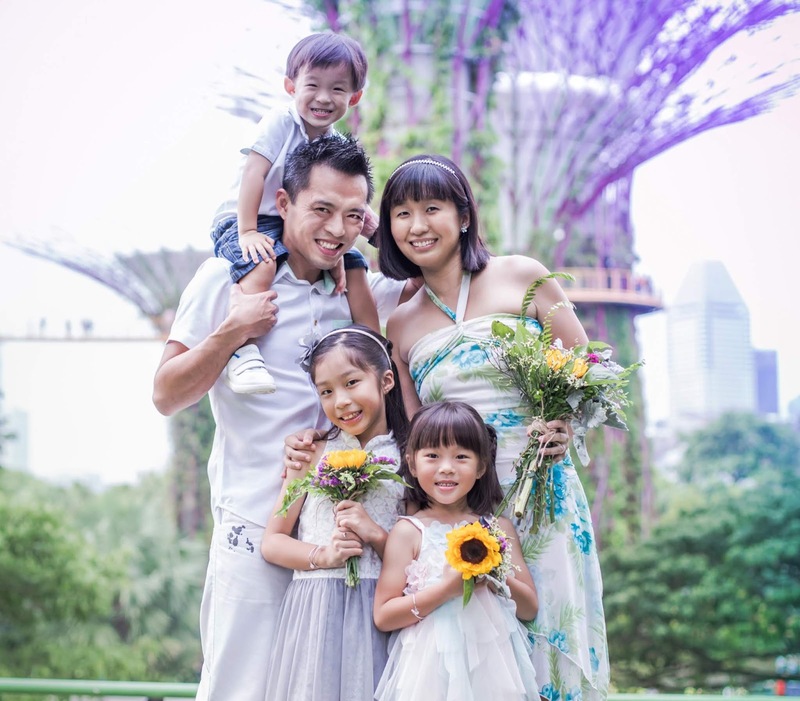 Thanks for introducing this fun for free place in Singapore! Hi Susan, it might be a little out of the way but I think you should bring Sophie here at least once to experience it! =) I don't know why I waited till now because my kids were so happy to see all their animal friends there. Haha. We can try to make a trip there together someday! =) Thanks for hopping by!